Cat lovers and colorists worldwide are enchanted with this gallery of fancy felines. 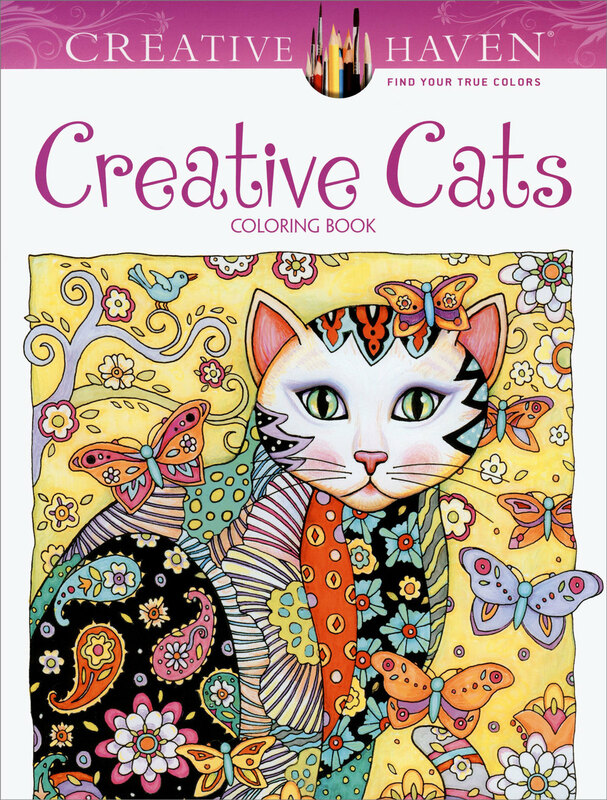 This adult coloring book features over 30 drawings, with each of the kitties in a whimsical, themed setting surrounded by flowers, paisleys, stars, and more. Below is only a sampling of what's in Creative Cats.